Bike Train service between Windsor-London-Toronto is now provided by VIA Rail. For schedules and ticket information, please refer to the VIA Rail website at www.viarail.ca/en/bike or call 1-888-842-7245. NOTE: Bikes can only be transported on trains listed with baggage cars. Bikes will need to be bagged or boxed. Upon arrival at the train station, check your bike at the baggage counter. Extra charges apply. Take the Ontario Southwest Bike Train from Toronto to Windsor and Essex County and explore diverse historical and cultural attractions, wineries and vineyards, parks and birdwatching areas. Connect with the Chrysler Canada Greenway, a 42 km rail trail that traverses the region. Ride rural roads through small towns and communities offering the quiet of nature, award-winning vintages, fruit stands and unique history. Cycling along the north coast of Lake Erie, you'll find fresh water beaches and recreation areas. Point Pelee National Park is world renowned as a stopover for bird and butterfly migrations and is a UNESCO designated Wetland of International Significance. *Itineraries feature flat roads or trails with paved and hard packed gravel sections, suitable for most bikes, and average to above average cycling abilities due to the distance. 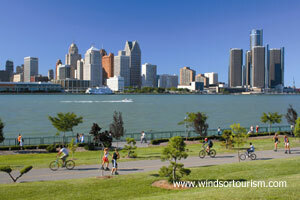 Windsor has a number of cycling routes criss-crossing its waterfront and other areas. Click on the thumbnail to see a full map of the cycling trails in Windsor. The Windsor, Essex County and Point Pelee Region have some great trails that pass through towns, rural landscapes and weave past wineries, farms and other attractions. The feature route is the Chrysler Canada Greenway, a 42km rail trail that connects Windsor to Lemington. Click on the thumbnail to see the full map. For more information on the trail visit the Essex Region Conservation Authority website. 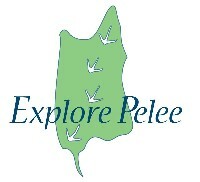 Point Pelee hosts a number of cycling trails, as well as several other activities geared towards outdoor enthusiasts. Click on the thumbnail to see a large map, or visit the Parks Canada Website to find out more information on Point Pelee National Park.